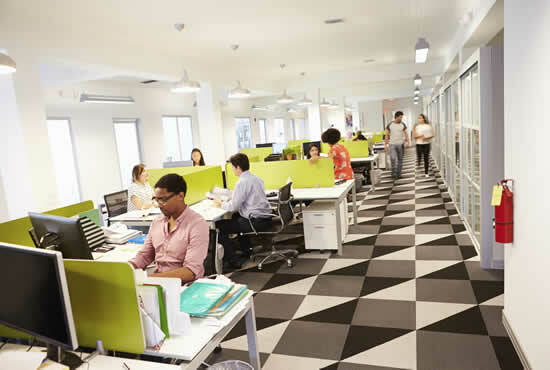 Make sure that your most valuable asset is looked after, with high quality office insurance cover that protects your staff, your office and your equipment. We can find you the most suitable cover at a very competitive rate, giving you an office insurance quote which allows your employees, customers, suppliers and stakeholders to do what they do best - generate profit for your organisation. The office represents far more than just the physical asset; in fact the intangible assets are often the most valuable. Information such as payroll, accounting, contact details and confidential data are integral to the running of any business, which is why bespoke office contents insurance is an absolute must. Many of the office insurance quotes we can provide will insure against business interruption, ensuring the loss of important data does not bring your business to its knees. Every business set-up is unique. This will be reflected in the office insurance quote we bring you. We scour the market, comparing policies from our panel of twenty of the nation’s top insurance providers, bringing you tailor-made and flexible office contents insurance to match your every need. Each package we offer is designed to fit your situation perfectly, with a carefully constructed combination of standard and optional cover, ensuring you only pay extra for the optional cover you cannot do without. The office insurance quotes we can find for your business, are what we believe set us above everyone else. Our excellent relationships with many leading insurers allow us access to deals unavailable if you contacted the insurer direct. There are also many optional covers available to our customers, which one of our team of friendly and knowledgeable advisors will be happy talk you through, in plain English, whether over the phone or in person. If needed, one of our experienced team of account handlers will visit your premises to help you decide the exact degree of cover you require.